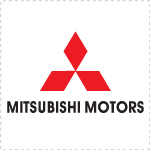 Mitsubishi Motors Corporation (Mitsubishi Jidōsha Kōgyō KK, IPA: [miꜜtsu͍biɕi̥]) is a multinational automaker headquartered in Minato, Tokyo. In 2010 it was the sixth largest Japanese automaker and the sixteenth largest in the world, measured by production. It is part of the Mitsubishi keiretsu, formerly the biggest industrial group in Japan, and was formed in 1970 from the automotive division of Mitsubishi Heavy Industries. Mitsubishi Shipbuilding Holds Christening Ceremony for LPG Carrier "FUTURE ACE"